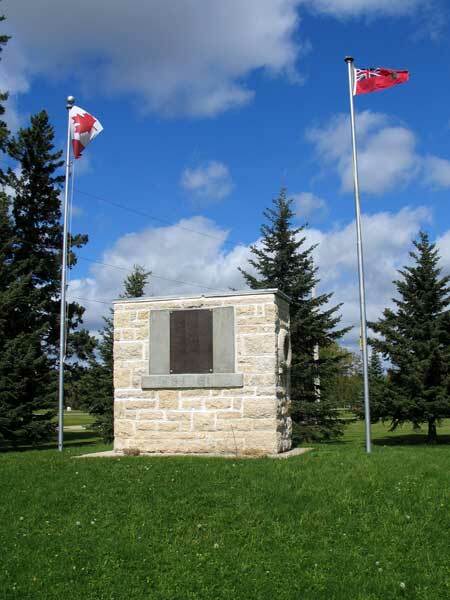 A monument at Camp Morton, in the Rural Municipality of Gimli, was moved from the former site of the Lakeside Fresh Air Camp for Children. It had been donated by the Union Bank of Canada in memory of its employees killed while serving in Canadian forces during the First World War. 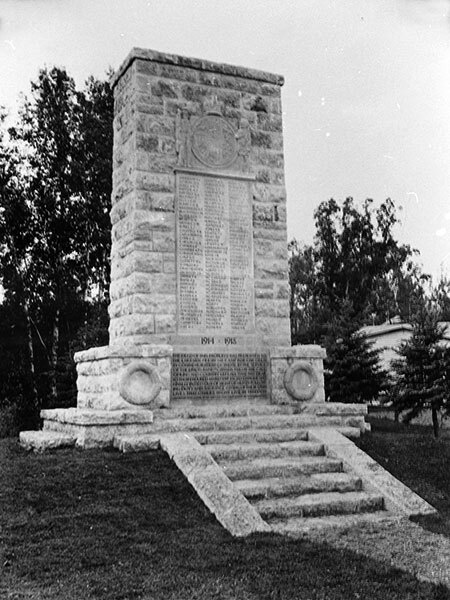 The monument has originally be unveiled in July 1922 by Lieutenant-Governor J. A. M. Aikins. Source: Western Canada Pictorial Index, A0787-23564. “500 visitors attend unveiling of Union Bank war memorial,” Winnipeg Tribune, 12 July 1922, page 3. This page was prepared by Gordon Goldsborough and Darryl Toews.